Formnext 2018 is taking shape fast and Sandvik is gearing up for an exciting presence at this leading forum for Additive Manufacturing (AM) technology. This year, we’ll be featuring a range of real-world AM-produced customer cases and our OspreyTM metal powders for AM. Our customer cases showcase Sandvik’s expertise across the additive value chain, spotlighting different materials, different AM-process technologies, and tailor-made post-processing methods. All are genuine industrial components, not prototypes. And they all deliver clear improvements in performance, functionality, productivity, or effectiveness, thanks to AM. If you’re planning to attend, we’d love to see you. Just drop by our stand (Halle 3.1, Stand C10) to see our industrial AM components for real or meet one of our experts to discuss your AM or metal powder needs – and see how we can help you Plan It, Print It, and Perfect It. Explore our extensive OspreyTM metal powder range, offering the widest range of AM alloys on the market, customizable to optimize the performance of your AM component needs. Curved internal channels and optimized design boost performance and productivity. Major weight reduction cuts vibrations for smoother cutting and productivity gains. Rugged, precise components slash production lead times and inventory, boost performance. Based on our 150-year material knowledge and in-house powder manufacturing capabilities, we are expert at matching material to application. Plan it. Print it. Perfect it. Sandviks's expertice extends throughout the entire AM value chain, from concept to perfect product. Formnext is a leading international exhibition and conference on the next generation of manufacturing technologies and the best place to catch up with the rapidly developing world of additive manufacturing. Formnext is where the best in design and product development, industrial tooling, production solutions, quality management, and measurement technology comes together with leading providers in basic materials and component construction. Whatever your interest in AM, Formnext is the place to be, with discussions, workshops, exhibitions and events right across the additive value chain. With more than 150 years in the metal industry, few understand the secrets of additive manufacturing like Sandvik. Metallurgy runs through every step of AM. It also happens to be our specialty – it’s in our DNA. 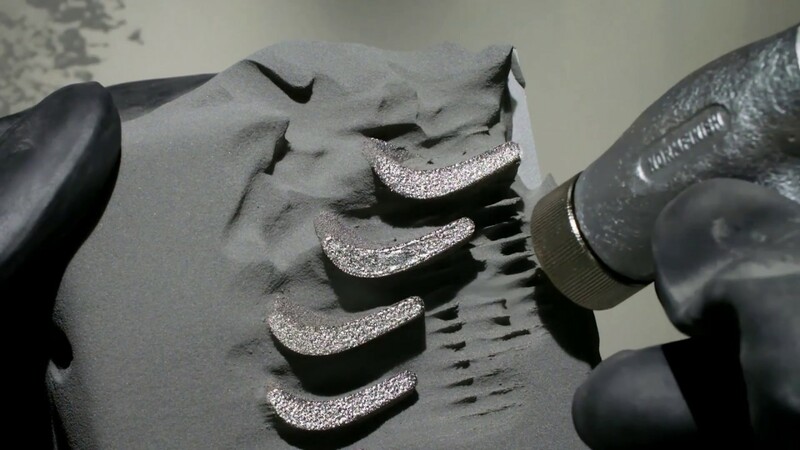 As the world-leading manufacturer of OspreyTM metal powders for AM and a leading expert in post processing methods, such as heat treatment and machining, Sandvik masters every step of the additive manufacturing value chain.